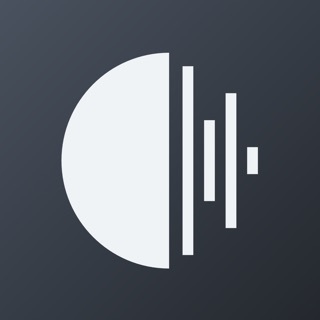 Discover the new Qobuz for iOS: a completely revolutionised musical experience that makes use of the latest developments in online music for demanding music lovers. Music streaming with Qobuz: there are subscription offers for everyone, all with equally high standards. This update is part of our continuing efforts to bring you the best musical experience possible. A visual surprise awaits Studio subscribers! New Qobuz connect design, access and manage your connected devices more easily and quickly visualise on which devices you are on. Problems initially but now loving it. Having nothing but problems with app. Music shutting off in the middle of play back and signed up for sublime subscription but can only play back at cd quality despite using external fiio q5 dac/amp and iPhone XS Max with lastest iOS. Great idea if they can get things working. No phone number for support and still no email response for support after 24hrs so far. Update on this. Finally got email back and not very helpful indicating that since bought subscription from App Store need to talk to them. No help there directed me back. Eventually figured out App Store subscription for 25$ is only hifi or cd quality streaming while 25$ sublime from Qobuz on their website allows you to stream all music at highest resolution through app. Not sure why that is. Now working as advertised and I’m loving it so I’m upping my star rating. ok so I have to say sound quality is amazing, is better than tidal, no regrets on paying 25$ a month for great music, it sounds good even on AirPods, lol no lie , now my only concern is that there missing Latin music in there catalog, so it’s kinda hard to find new music, etc, I wish they update this very soon, I don’t want to keep going to a song, then checking the label record so I can find similar songs, that’s annoying, pleaseee ! Update asap! Hello, Thank you for your feedback. If you have any suggestions about new artist to ingrate on our platform, we would be please to do that and give you a better experience. I have subscribed to hifi sublime for one year , and as compared to other its experience ,i think at that price point they should offer , no streaming but download in high resolution in hifi sublime subscription. I mean that’s pathetic, we can only download in. Cd quality , very unsatisfactory according to the amount they charge ! The one at peak on music service in compared to quality is Tidal , which offer high resolution at the price point of qobuz sublime subscription . This should be addressed out asap , if they don’t wanna loose their customers . And they must work on the interface, its so dull and messy on pc while streaming.